'That pencil is dangerous,' I said. 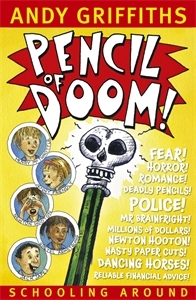 When Henry McThrottle tells his fellow students at Northwest Southeast Central School that his pencil is trying to kill him they accuse him of having an overactive imagination. But if that's the case, then why is his pencil still trying to kill him?